China's smart phone maker company Xiaomi has launched its Mi A2 and Mi A2 Lite globally. Both of these handsets have been introduced with a metal unibody design. The Mi A2 and Mi A2 Lite’s USB Type-C, 7.3mm thickness and 2.5D Gorilla Glass 5 are their main features. Mi A2 and Mi A2 Lite will be offered in Gold, Blue and Black color variants. The battery of both phones is optimized using AI which claims to have a 1 day battery life. Phones will get updates of Google's new navigation system with the next software. 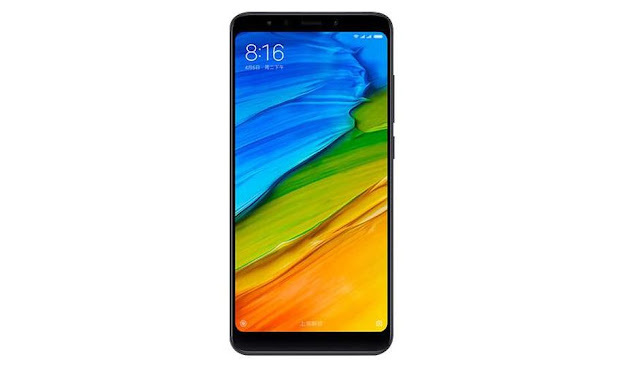 Talk about variants of Mi A2 and price, then the price of 4 GB RAM and 32 GB storage variant is 249 Euro, which is around 20,000 rupees. At the same time, the price of 4 GB RAM and 64 GB storage variants is 279 euros, which is around 22,500 rupees and 6 GB of RAM and 128 GB storage variants are priced at 349 Euro, which is around 28,000 rupees. At the same time, Mi A2 Lite has 3 GB RAM and 32 GB storage variant worth 179 Euro, which is around 14,500 rupees. At the same time, 4 GB RAM and 64 GB storage variants. The price is 229 euros ie 18,500 rupees. Both phones will start selling in France on July 27, Spain on 10 August and Italy in August 8. Xiaomi has claimed that Mi A2 will be launched in India. 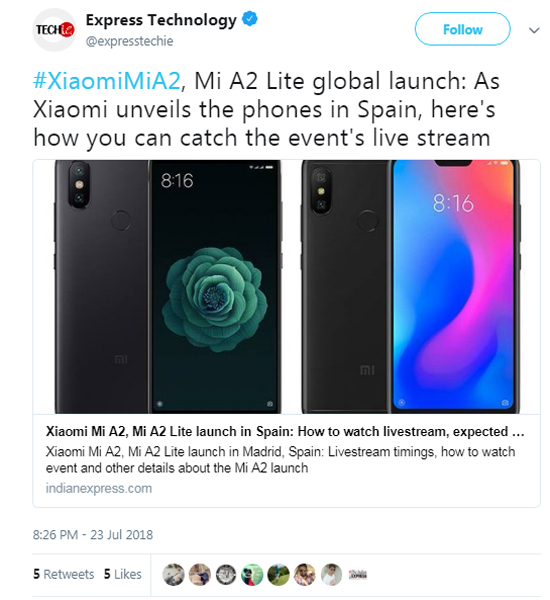 But Mi A2 Lite will not be launched in India. Mi A2 has a 12 megapixel primary camera with f / 1.75 aperture, Sony IMX486 sensor and 1.25-micron pixel size. Also, a 20-megapixel secondary camera is provided with the Sony IMX376 sensor, f / 1.75 aperture and 2-micron 4-in-1 super pixels. Apart from this, the AI-based 20-megapixel front camera is also available. Its front camera aperture f / 1.75 and 1 is equipped with Sony IMX376 sensor. This phone will come with Google lens integration. Apart from this, the Bokeh effect is an important feature of the camera. This phone is a rebranded version of Mi 6X. It has a 5.99 inch display. Its pixel resolution is 1080X2160 and Aspect ratio is 18: 9. This phone works on Octa-Core Snapdragon 660 processor with 4 2.2 GHz course and 4 1.8 GHz course. It has an LPDDR4x RAM up to 6 GB. In addition, up to 128 GB internal storage is also provided. Its internal memory cannot be extended. This phone works on Android 8.1 Oreo. This is part of the Android One program. For connectivity, the phone is equipped with features such as Dual 4G, VoLTE, Wi-Fi 802.11b / g / n / ac, Bluetooth 5.0, GPS and USB Type-C port. To give power to the phone, 3010 mAh battery is provided with QuickC are 3.0.